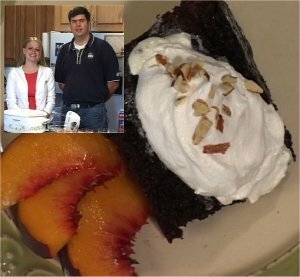 See the video of Dan and Amy making her Crock-Pot Cake. Click here (56k) to watch the video. If you have a high speed connection, click here (300k) to see a higher-quality video clip. Mix everything together and pour into a lightly greased crock pot. Cook on low for 6-8 hours or 3-4 hours on high.